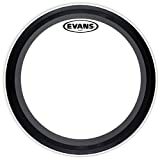 The Evans EMAD2 bass drum head is durable, attacking, and versatile – giving you control over sustain and overtones, while providing a powerful deep thud. 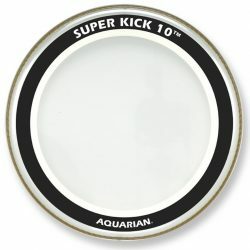 This is a high-volume bass drum head. The Evans EMAD2 is a dual-ply bass drum head, made with one 10mil and one 7mil clear ply of film. 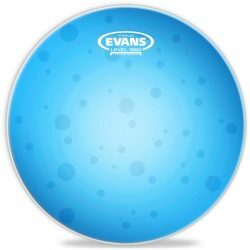 Due to the thick design, the Evans EMAD2 is extremely durable, and can hold up to long-term heavy hitting. The Evans EMAD2 comes with two different acoustic foam dampening rings (one narrow and one wide), giving you a range of sustain options. 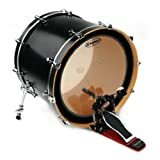 The dampening rings can be quickly mounted to the front of the drumhead, which gives you excellent control without needing to remove the head itself. Along with the rest of the EMAD range, the Evans EMAD2 gives you great versatility with your bass drum sound, and is almost like having three bass drum heads in one. The two clear plies allow for a huge attack, creating a big punch that cuts through even in very loud environments. 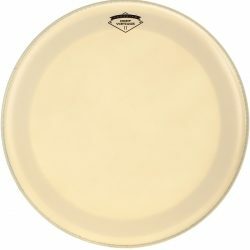 Without the dampening rings, the Evans EMAD2 Clear gives a shorter sustain. 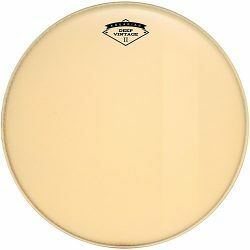 The thick two-ply design controls the sound, reducing the sustain and giving a relatively focused bass drum. There is some ringing present, but overtones are kept low. The foam mounting system adds some extra focus, even with no dampening rings installed. Compared to the thinner Evans EMAD and GMAD bass drum heads, the EMAD2 is much more controlled. There is a big and cutting attack, before the sound shifts to the deep and punchy low-end. 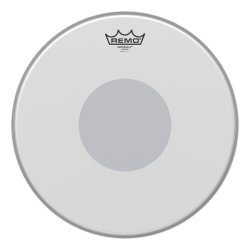 The overall sound of the EMAD2 is great for medium to very high volume music: This drumhead can handle very hard hitting, and can produce a big cutting sound. 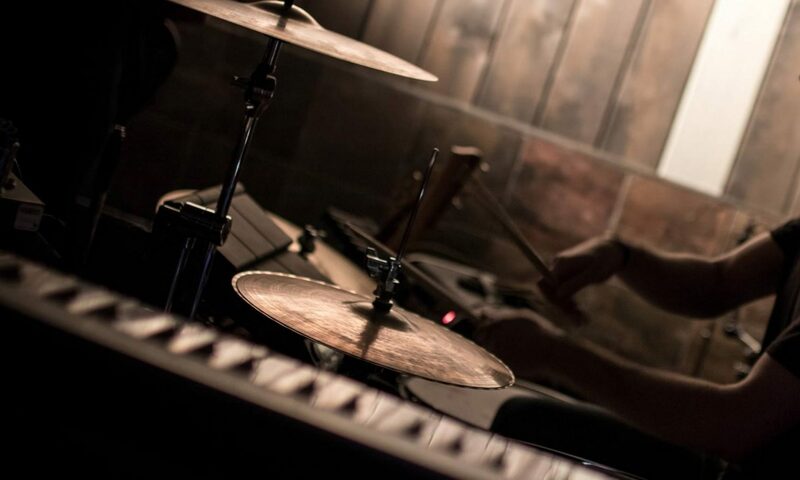 Note that the EMAD2 is not great for low volume drumming, where the thicker design means reduced responsiveness to lighter touches. With the felt rings installed, the sound of the Evans EMAD2 becomes even more focused and punchy. Adding the dampening rings removes overtones completely, and also cuts sustain to a very short deep thud. The thick clear plies give a strong and bright attack, before the tone quickly focuses on the deeper notes. The thin EMAD2 dampening ring gives a moderate amount of dampening, while the thicker ring creates a deep and punchy sound. Overtones are entirely removed, and the EMAD2’s sustain becomes extremely short. Tip: For maximum volume, use the EMAD2 with no dampening ring installed, or with the thinner dampening ring. 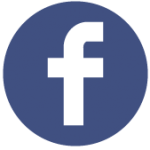 The thick ring creates more punch, but at the expense of volume and attack. The Clear Evans EMAD2 is a great bass drum head for hard hitting and loud volume music. If you play hard and need a durable drumhead, then look no further. The thick construction means that the EMAD2 can handle very heavy playing, and is capable of creating a big cutting attack that will come through in the loudest environments.